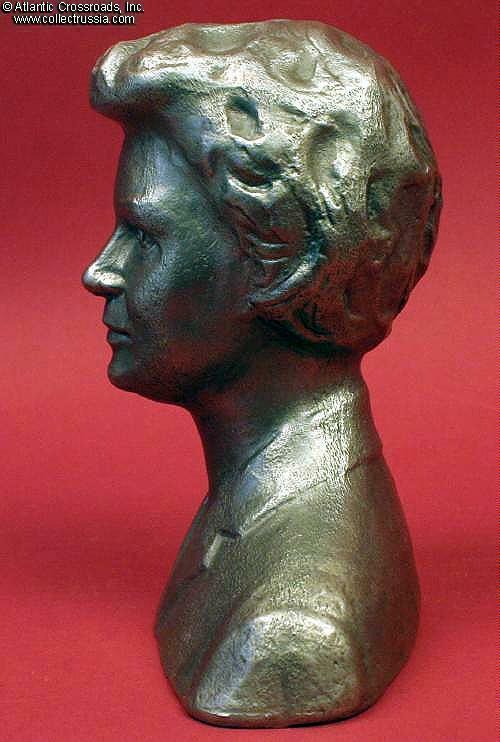 Bust of Valentina Tereshkova (1937- ), c 1960s; Soviet Cosmonaut and the first woman to fly in outer space. 6" x 6" x 2 3/4". Silumin alloy. Excellent condition and likeness. 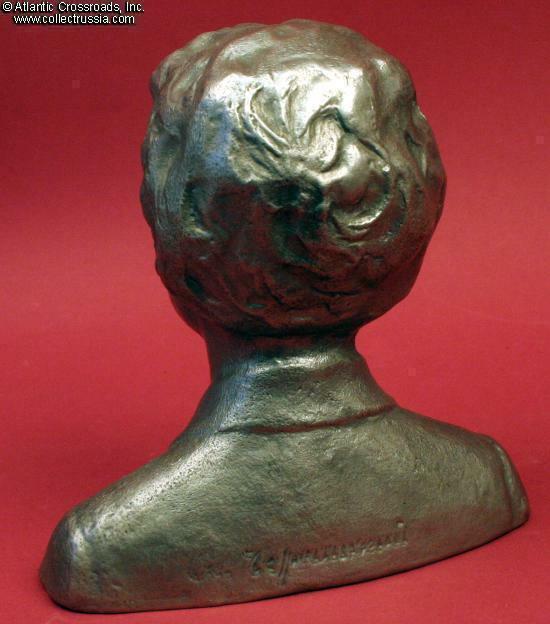 For some unknown reason, a name or inscription across the back of the bust was overstruck at the foundry to make it illegible. A daughter of a factory worker and a Red Army soldier who died in combat during the Winter War against Finland, Tereshkova flew the Vostock 6 space capsule for 48 orbits of the earth in June of 1963. After her flight, she was as well known around the world as was Yuri Garagarin. She became active in the governing bodies of both the Communist Party and the Soviet Union and remained active until the dissolution of the USSR. 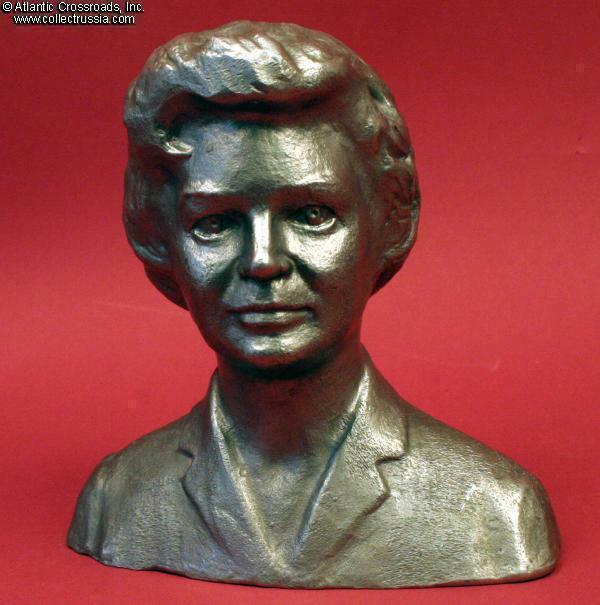 Today, she is one of the few Soviet era heroes to still be a popular figure in modern day Russia. 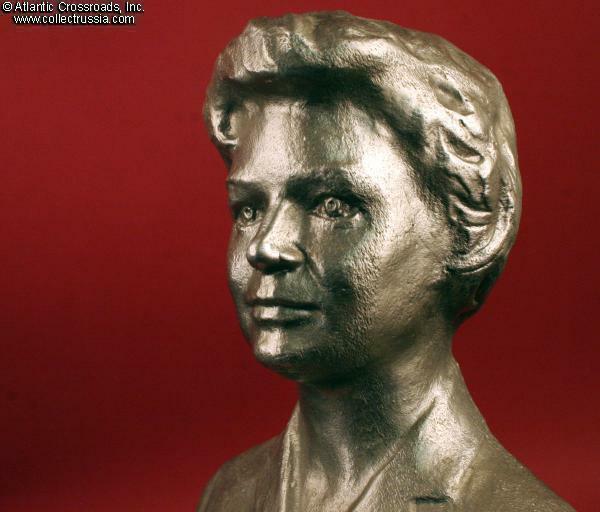 Unusually, in spite of her fame, her bust is missing from many space-themed collections today.